Annual gathering of Ahmadiyya Muslim Community in Guatemala – For Christians, To be Born Again in Islam! Amir Guatemala Abdul Sattar Khan, Naib Amir USA Imam Daud Hanif and Brother David Gonzalez, met with former president of Guatemala (now currently serving his 3rd term as Mayor of Guatemala´s capital, Guatemala City) Mr. Alvaro Arzú. Imam Daud Hanif spoke to the mayor about the Jamaat´s goals, the nature of the Ahmadiyya Muslim Community and Humanity First’s humanitarian relief efforts in Guatemala. Imam Sahib also presented Mayor Arzú with a copy of the Holy Quran and the Philosophy of the Teachings of Islam. Imam Sahib thanked the mayor for his years of service to Guatemala and his great strides made to ensure peace and security for the nation. Mayor Alvaro Arzu appreciated the gift of the Holy Book of Islam and promised cooperation and support for the Ahmadiyya Muslim Community in Guatemala. Jalsa guests began arriving Monday, November 28th and remained through the week of Jalsa till Thursday, December 8th. From within the country, the following cities were represented: Puerto San Jose, Antigua, Mixco, Guatemala City, Xela and HueHuetenango. And international guests visited from Panama and the United States (Imam Daud Hanif of New York City, Dr. Imtiaz Chaudhry, Alhaj Jalaluddin Latif and wife Naima Latif, Alhaj Jamil Choudhry, Aliya Amatul Latif – all of Central New Jersey, Amatul Rashid Jude, from Atlanta Georgia Jamáat, and Fazal Qureshi and wife Roohul Rehman of Orlando Florida Jamaát). In preparation for Jalsa weekend, formal Jalsa Guatemala invitation letters and cards were created and distributed to friends, family and international Jamaát members. Assalamo Alaikum wa rahmatullah wa barakatuhu! I am very pleased that you are holding your Annual Jalsa Salana on 2nd, 3rd and 4th December 2011. May Allah bless your Jalsa with great success and may all of you receive great blessings from this unique spiritual gathering. During the period of the Jalsa, you should not indulge in idle talk, but you should remain engrossed constantly in prayer and Istighfar. You should listen attentively to the various speeches by members and scholars of the Jamaát, increase your knowledge and strengthen your faith and understanding of the teachings of Islam. ‘And of men there is he who would sell himself to seek the pleasure of Allah; (Al Quran Ch.2:v208). Allah keeps a most benevolent eye on His servants and is exceptionally Compassionate to those who are every ready to put His commandments in practice. People who abide by His commandments endeavour to emulate Divine attributes at the human level – and they are kind and gentle to Allah’s creation. Such are the teachings of true Islam; they link man with Allah and then guide man towards the service of mankind. This is the path that the Companions (may Allah be pleased with them) followed and this is what the Promised Messiah (peace be upon him) came to teach us. This is the noble call of the Promised Messiah (peace be upon him) – but unfortunately, despite his virtuous teachings, the members of his Jama’at are facing more and more opposition and enmity and threats and violence from the fanatical elements in some countries. We should not be disheartened because we are already aware of the history of all prophets, which shows that difficulties and troubles were inflicted on them and their followers, so much so that the Holy Prophet of Islam (peace and blessings of Allah be upon him), the beloved Prophet of Allah Almighty, for whom the entire universe was created, along with his followers, also passed through such trials and tribulations. So whenever the Jama’at Ahmadiyya goes through such a phase of intense persecution, we should draw inspiration for steadfastness and devotion from the life of the prophets and especially that of the Holy Prophet (peace and blessings of Allah be upon him). We should also have firm faith in that that these periods of extreme difficulty will lay the foundations of forthcoming victories. Such periods of difficulty also provide us with the opportunity to gain further nearness to Allah Almighty, by offering supplication and lamentations before our Lord and to continue to strengthen our bond with The Divine. Our reliance is solely on Allah to come to the aid of the persecuted members of the Jama’at and it is for this reason that I have directed you to offer two daily Nawaffil prayers and also to keep fast for one day in the week. I draw your attention again for the need of extraordinary prayers beseeching Allah’s Protection and Help. The fervour and intensity of your supplications should be such that they tear through the heavens and shake the threshold of the door of Allah. I also advise you to remain attached and loyal to the blessed institution of Khilafat. 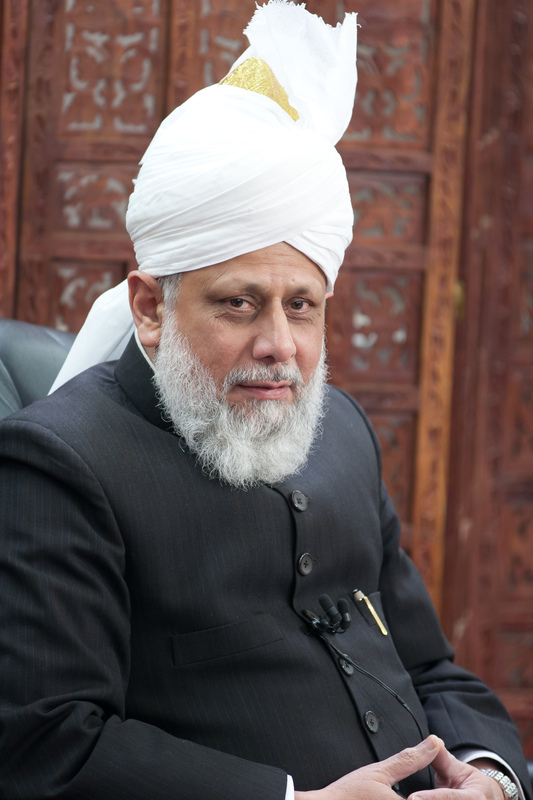 Today, the task of revival of Islam can only be performed by adhering to the system of Khilafat. Therefore, you should always endeavour to uphold this noble institution and ensure that your future generations always remain within the blessed guidance and protection of Khilafat-e-Ahmadiyya. May Allah enable you to do so. May these heartfelt prayers of the Promised Messiah (peace be upon him) be with you all. May Allah bless your Jalsa Salana with every success and may all of you be infused with a new spirit of faith and Taqwa to enable you to go forth and serve the Jama’at and the cause of Islam and humanity, with renewed energy and fervour. May Allah bless you all. After Huzur’s message to Jalsa Guatemala was read and translated, Amir Guatemala detailed the characteristics of an Ahmadi Muslim. Mainly, obedience to the Holy Quran, the Holy Prophet (saw), and Khilafat. He stressed, an Ahmadi must exhibit a strong connection to prayer and a deep seeded love for Allah, a trustworthy and honorable character and a charitable and giving nature, willing to make sacrifices in the way of Allah. In their homes, Ahmadi Muslims treat spouses and family with respect and compassion. He ended his address with a prayer that Allah establish the supremacy of Islam throughout the world and draw the hearts of humanity to the worship of One God. On Thursday December 1, a press conference was held at the Holiday Inn, in downtown Guatemala City. For additional Press coverage, click here.